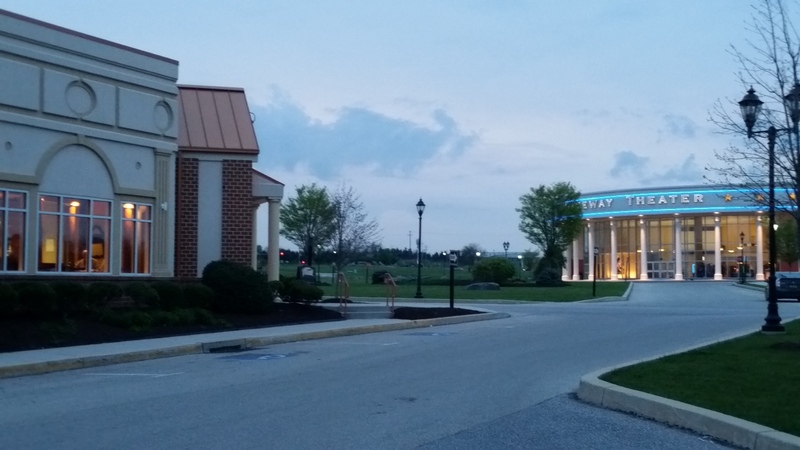 This article is part of our series on family travel to Gettysburg, Pennsylvania, which includes detailed posts on the Gettysburg National Military Park Visitor Center, Gettysburg Battlefields, and Eisenhower National Historic Site. 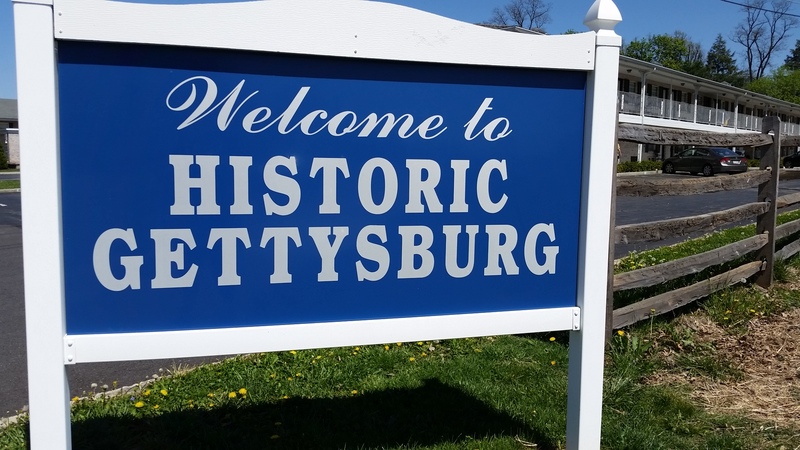 Thanks to Destination Gettysburg and the Gettysburg Foundation for inviting us for a visit! Two days in Gettysburg were not enough to see it all! I confess: I always figured that Gettysburg was pretty much just about the Civil War and its famous battlefields. But it’s also much more: while the Civil War takes center stage at Gettysburg, there’s enough to see and do to make at least a full weekend of it, although you probably could spend a week or two there and still have enough left to see for a return visit. We had driven past Gettysburg before, always on our way to or from some other destination. Each time we did so, we would say “we need to go to Gettysburg,” and I am glad we finally did! My family recently had a vacation weekend at Gettysburg, where much of our time was spent at the Gettysburg National Military Park Visitor Center, Gettysburg Battlefields, and Eisenhower National Historic Site; see our detailed reviews of those attractions on the individual posts. Though touring the historic areas took most of our time, we still explored the town of Gettysburg itself. Here is some of what we saw. I tip my hat to you, too, Abe Lincoln! Walking along downtown Gettysburg can be fun in itself: here within a close walking distance you will see historic sites including the David Wills House, the Rupp House, and the Gettysburg Lincoln Railroad Station. On the plaza just a few feet from the David Wills house is a statue of Abraham Lincoln and a male tourist. 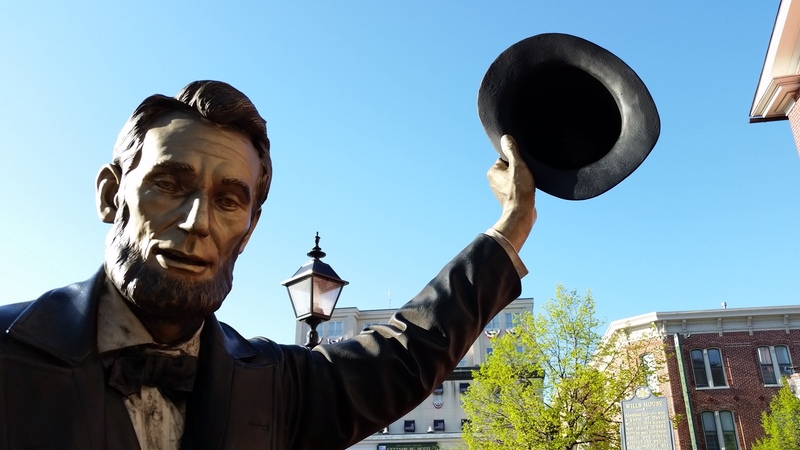 Called “Return Visit,” the statue (a popular photo opp) depicts Lincoln pointing his hat toward the Wills house, where the president finished writing his Gettysburg address. The David Wills House is where Abraham Lincoln finished his Gettysburg Address the night before the dedication of the Gettysburg cemetery. The Rupp House (free admission) provides a glimpse of what life was like for civilians during the Civil War. The Gettysburg Lincoln Railroad Station (free admission) is where Abraham Lincoln arrived into town, and a place that also had served as a field hospital. And of course the Gettysburg Cemetery, the final resting place for more than 3,500 Union soldiers killed in the Battle of Gettysburg, is most famous as the site of Lincoln’s speech. Visitors can walk walk among the graves honoring the soldiers and see the monument to the Lincoln’s Address, what may be the only monument to honor a speech and not a person. Walking along Steinwehr Avenue, visitors will find the Gettysburg Diorama and the Lincoln Train museum (see below) en route to the cemetery. Downtown Gettysburg is home to some historic hotels, and shoppers will enjoy the many art galleries, antique shops, and boutiques there as well. Nearby Spangler Farm is one of the most preserved and significant Union field hospitals from the Battle of Gettysburg, and was recently reopened after restoration work. 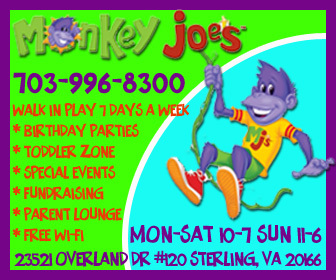 This is a great place for families to visit before you head out to the battlefields (and a possible substitute for those with children too young to sit through a tour of the actual battlefields). 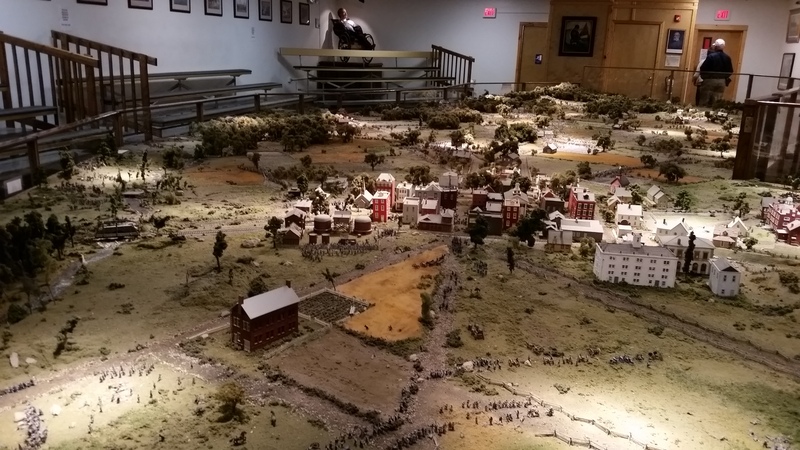 The Gettysburg Diorama is one of the world’s largest dioramas and the largest military one in the United States. 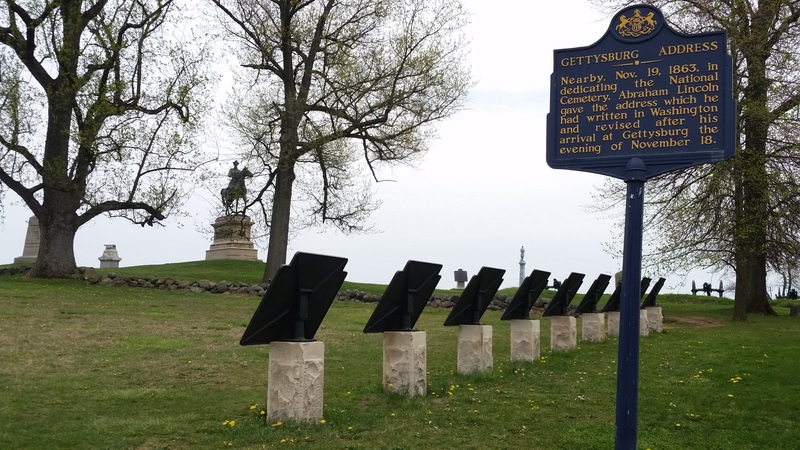 Measuring 800 square feet, it displays Gettysburg as it appeared in 1863 during the battle. The diorama is a scale model of 6,000 acres of land and has more than 20,000 hand-painted soldiers, horses, cannons, and buildings. Visitors can browse the diorama up-close for a few minutes before the presentation begins, an approximately 30-minute narration with light and sound effects that tells the story of the three days of fighting. There also are other smaller dioramas along the walls, along with a large display of Civil War paintings, a gift shop, and life-size mannequins of Abraham Lincoln and Union Army General Dan Sickles. 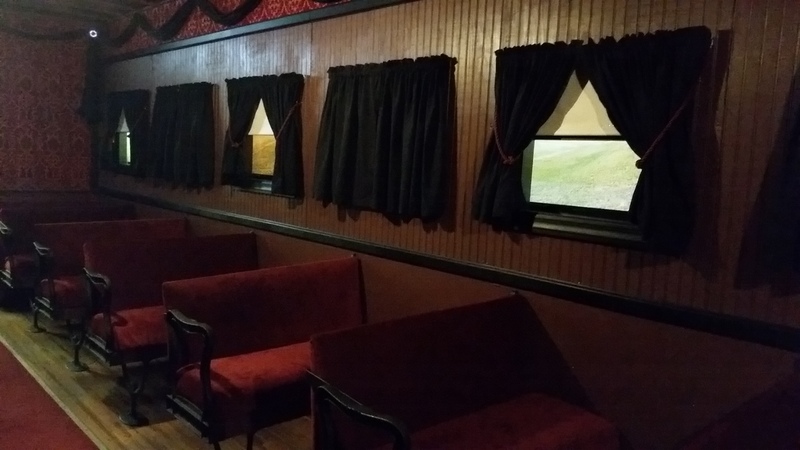 The Gettysburg Lincoln Train Museum (not to be confused with the Gettysburg Lincoln Railroad Station, where Abraham Lincoln arrived via train), is another great stop for kids. 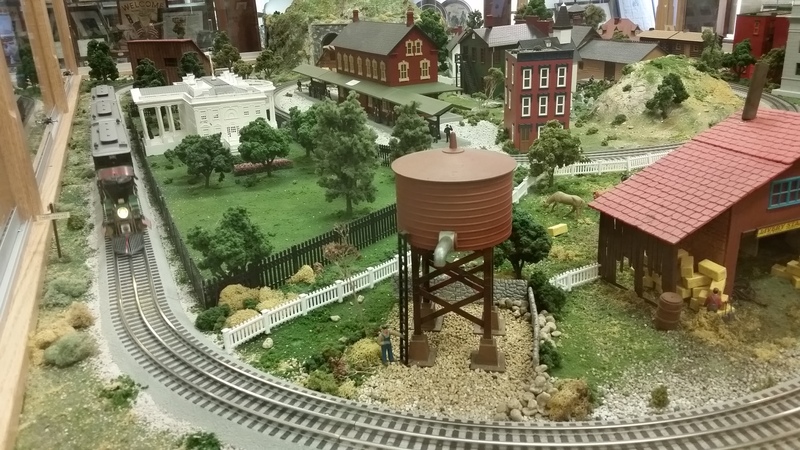 This attraction, just a short walk from the Diorama, has dozens of working model trains plus displays of American memorabilia including artifacts about the military, U.S. presidents, baseball, and cowboys. Your visit begins with a welcome message from “Abraham Lincoln,” who “walks” through several screens narrating. There are some train tables set up for young kids to play with, and a scavenger hunt that older kids can enjoy. After browsing on your own for a bit, a staff member talks briefly about Lincoln’s last train ride. Lots and lots of elephants! Craving something sweet, different, or both? 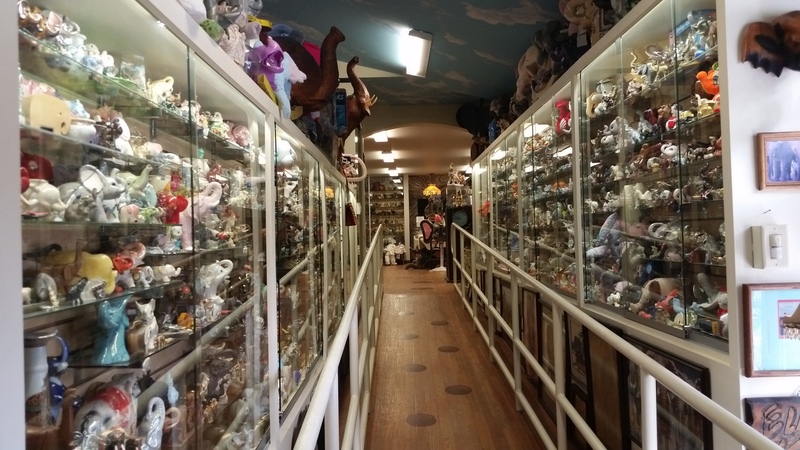 After a couple of days of serious, important information, it was time for something silly, and Mister Ed’s Elephant Museum and Candy Emporium — part candy shop, part eclectic gift store, and part niche gallery – was just that. This offbeat and off-the-beaten-path attraction just outside the town of Gettysburg is a community landmark. 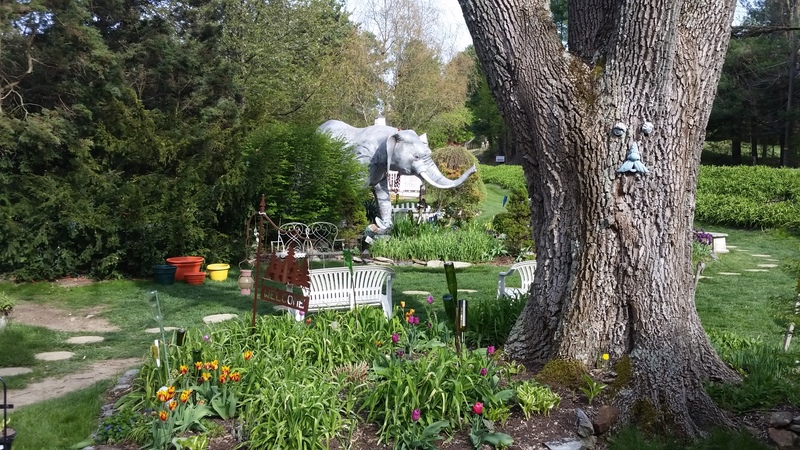 The “museum” part is actually a huge collection of elephant memorabilia that founder Ed Gotwalt started after receiving an elephant figurine as a wedding present. The collection now includes more than 12,000 elephant items. “Mister Ed,” a colorful figure (with ties to the Washington, DC, area; read his bio here) is a community icon, so when a fire several years ago burned many of the collectibles in the shop, and he vowed to rebuild, neighbors and customers started sending in more elephants to replace them. 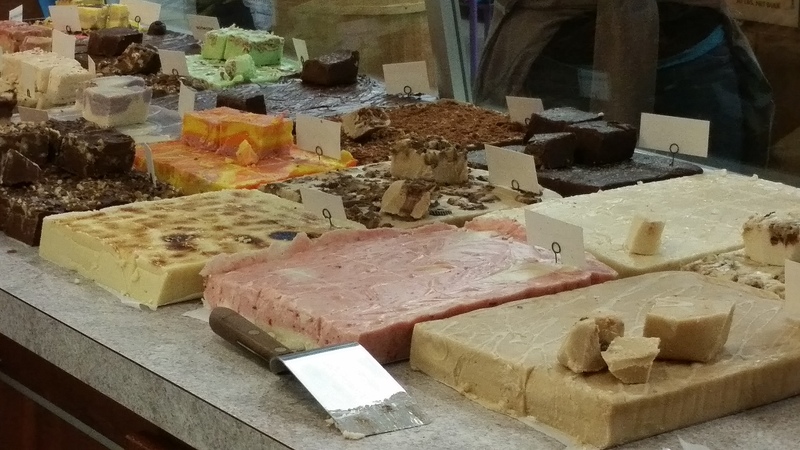 Today the shop has the museum of elephants (free to browse), a garden with even more elephant figures, and the candy emporium with unique, old-fashioned, and mainstream candy, dozens of flavors of homemade fudge, nuts, and gift items. Explore & More Children’s Museum: Small hands-on museum geared to children ages 3-8, with a Civil War-era room, nature room, construction area, and more. Shriver House Museum: History museum that shows the civilian side of the Battle of Gettysburg. Jenny Wade House Museum: Historic site dedicated to the only civilian killed in the Battle of Gettysburg. Land of Little Horses Farm Park: Performing animal theme park and petting zoo open seasonally (spring through early fall). Strawberry Hill Nature Preserve: A 609-acre preserve offering hiking trails and educational programs. Wineries: There are a few wineries around Gettysburg. While I did not get to visit the Hauser Estate vineyard (which looks like a lovely place), I did get to sample wines and cider at the winery’s tasting room right downtown, which also has a nice shop. Ghost tours: Gettysburg is famous among “ghost hunters” and “haunted” tours of the town and the battlefields abound. Outdoor fun: Gettysburg offers plenty of other outdoor fun including golf courses, mini golf, farm markets, horseback tours, and more. Nearby is also the Liberty Resort with skiing and snow tubing. 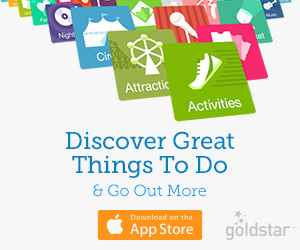 In short, there’s much for visitors to do. See the Destination Gettysburg site for other ideas, or look at this sample itinerary from the Gettysburg Foundation. Gettysburg has many lodging options, including historic hotels, bed-and-breakfasts, campgrounds, and chain hotels. 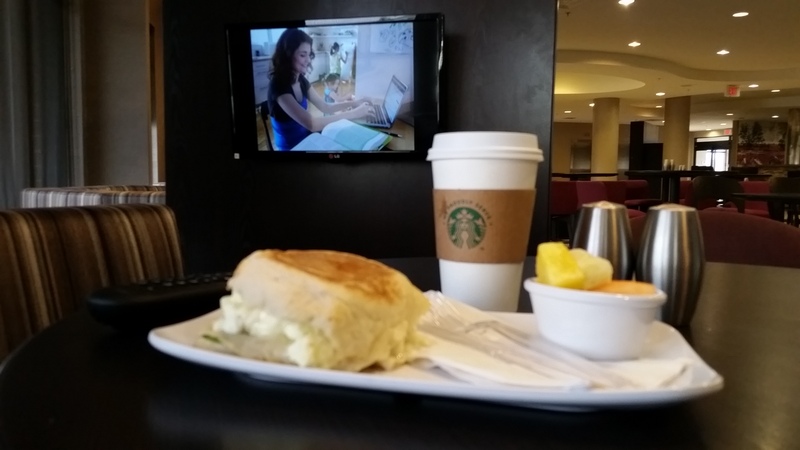 We stayed at the Courtyard Marriott Gettysburg, a short drive from downtown Gettysburg. Although the hotel is in a quieter location, it had its own entertainment right on site: the hotel is on the Gateway Gettysburg “campus” that includes the Wyndham Gettysburg (owned by the same company) and just a few steps from Appalachian Brewing Company, 1863 restaurant, and Gateway Movie Theaters. The restaurants are all family-friendly, and the movie theater features the latest movies on the largest digital movie screens in the country – they are three stories high! It was great to know that no matter the weather, the time, or how tired we were, we could always go out for a night of fun anyway since all we had to do was walk literally just a few yards to go enjoy our evening (we dined at Appalachian Brewing Company one night and went to a movie the next night). 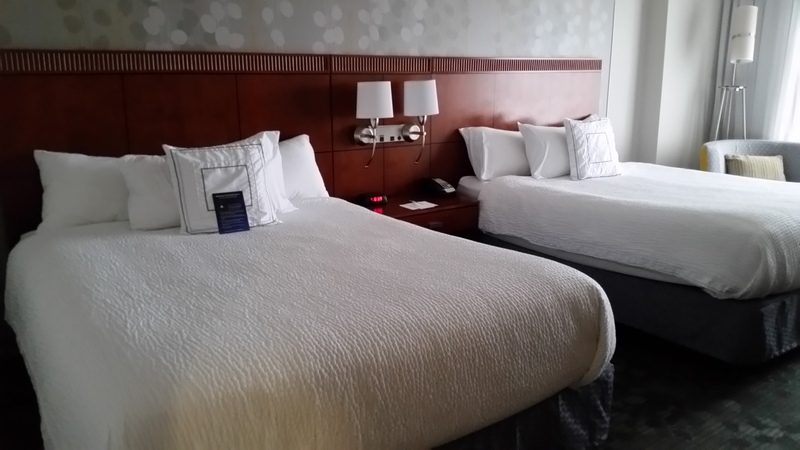 The Courtyard Marriott provided a very comfortable stay in a nice, modern room. 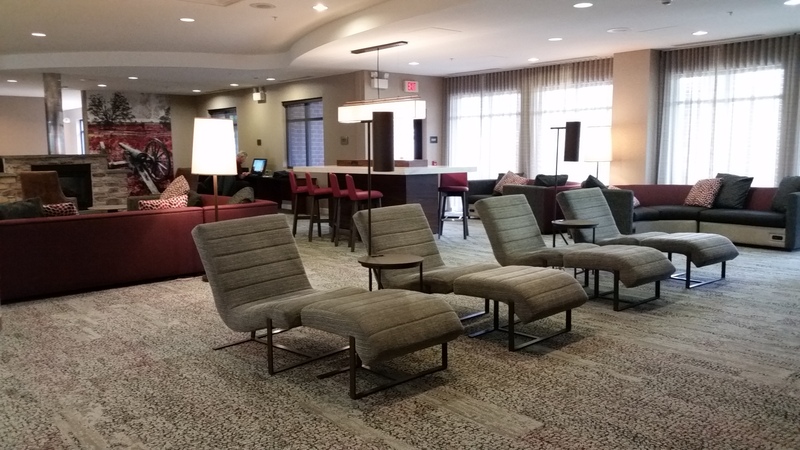 We didn’t get to enjoy all of the amenities, such as the indoor pool, but every morning we took advantage of the Bistro, which has a coffee bar and sells hot breakfast items. We would eat our breakfast in one of the “nooks” with its own small TV screen, and in the afternoons and evenings, the lounge with bar service, comfortable seating, and a fireplace makes for a nice place to take a break. The staff was friendly and helpful and provided a generous late-checkout time when we requested it. Gettysburg has many independent restaurants and some national franchises. 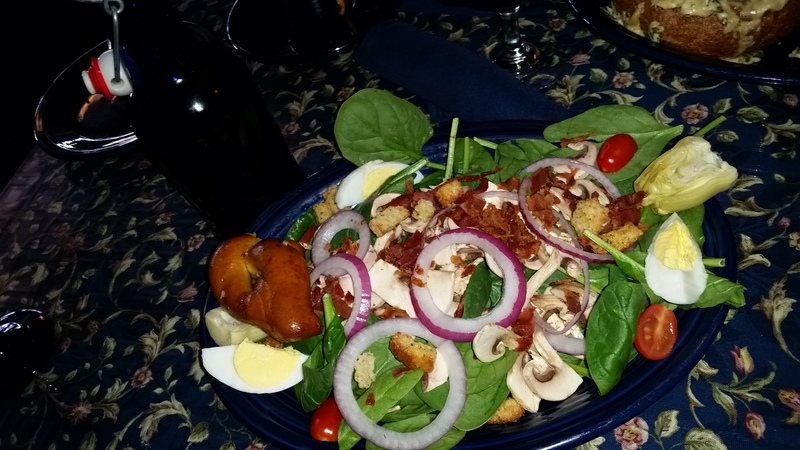 Some of the restaurants we visited were The Pub, Appalachian Brewing Co., and Dunlap’s Restaurant. The Pub & Restaurant is in a fantastic location in the heart of historic district, right at Gettysburg Square. Open for lunch and dinner, this restaurant serves classic American fare (burgers, pizzas, salads, sandwiches, and entrees) in a relaxed but nicely decorated atmosphere. Portions were huge and the food was excellent (we had the artichoke dip, spinach salad, pizza, and burgers). But beyond the good food and nice décor, this is a place with a lot of “heart.” When you read the back of the menu with the story of the restaurant (I’m not the only one who always reads these, am I?) you’ll learn about the owner’s dedication to keep the restaurant going. The unusually honest tale about personal and business hardships, the devastating fire that destroyed the original building, and the details of how the staff and the community rallied to rebuild the restaurant will make you appreciate the hard work small business owners put in day after day here and elsewhere. Another big meal was dinner at Appalachian Brewing Co., right outside our hotel. Here you also can find many pub favorites along with dishes that are common in Pennsylvania (but not necessarily in Virginia, where we’re from) such as poutine and pierogies, and of course great local brews. Desserts are big and good for sharing. For a casual lunch, we visited Dunlap’s Restaurant, an informal family restaurant still in historic Gettysburg but away from the busy areas. This restaurant provides very reasonably priced items (sandwiches, wraps, soups, salads, pastas, and entrees) and although we went there only for lunch, the breakfast there seems to be a bargain. There’s also a BYOB bar. While we were walking around Steinwehr Avenue, we also “discovered” King’s Pizza. Though we stopped in only for a quick snack in between meals, the pizza we had was fantastic. For breakfast, we just ate at our hotel, since the options were good and eating in saved us time. Don’t worry about how much you eat at Gettysburg. The chances are very good that you will end up walking most of it off! Disclosure: My family received a hosted visited (accommodations, attractions, and meals) to facilitate this review. We have provided extensive coverage as a service to our readers and the opinions expressed herein are my own. 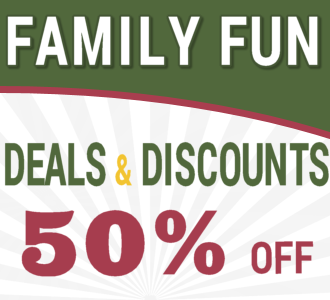 Share the post "Family travel: Downtown Gettysburg, Pennsylvania"